Despite their name, killer whales are actually the largest member of the dolphin family. Their black and white colouring makes them easily recognisable and some of the best-known marine mammals. They are intelligent and travel long distances in the wild, yet there are many killer whales in captivity. Killer whales have been kept in captivity since 1961. Currently, around 60 killer whales are held captive in at least 14 marine parks across eight countries. It raises many ethical issues and has always been a subject of debate. But, the 2013 documentary, Blackfish, really brought the issue into the limelight. For one thing, killer whales are large animals that are used to having a whole ocean to swim in. Captivity just doesn’t provide the space they need. But, that isn’t the only issue. The life expectancy of killer whales in captivity is far shorter than in the wild and killer whales only live up to their name in captive environments. There have been no recorded attacks on humans in the wild, yet multiple attacks in captivity, three of which were fatal. 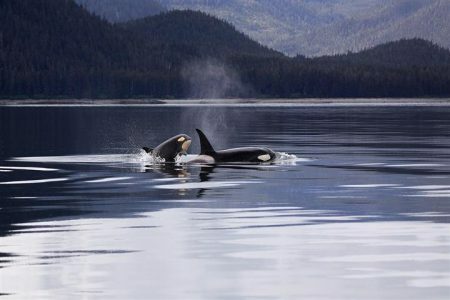 Killer whales live in family groups, or matriarchal pods, led by a dominant female. Each family has their own unique calls and they form strong lifelong bonds. Taking killer whales from the wild and placing them in captivity breaks these bonds, causing emotional stress. Killer whales are also moved around marine parks and constantly placed with different individuals so new bonds are formed and broken regularly. Killer whale societies are complex. They live in different groups and one group won’t necessarily meet or socialise with another. Each group has its own unique calls and food choice. In the same way that forcing two human strangers to live together in a confined space could cause tension and aggression, putting killer whales from different groups together does. Individuals don’t always get on, hierarchies form and interactions can be aggressive, violent and result in injury. Feeding habits of wild killer whales are complex. Some killer whales feed on fish whilst others feed on bigger prey, like marine mammals. Food choice is passed down through generations of killer whales and remains the same throughout their lifetime. 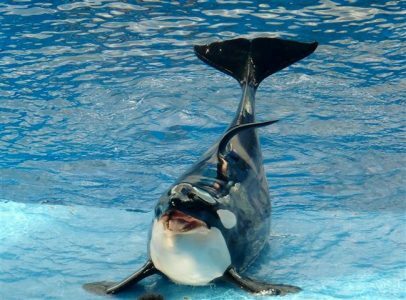 In captivity, killer whales are fed a diet of dead fish. This is unnatural and very different to what some killer whales would eat in the wild. A diet of dead fish is also unstimulating. In the wild killer whales have complex hunting techniques that keep their brain occupied. Killer whales in captivity are known to bite the metal bars of their tanks as a sign of aggression or boredom, which is really bad for their teeth. Teeth end up broken which leaves killer whales open to infection and stuck in captivity for the rest of their lives – without their teeth killer whales will struggle to survive in the wild. Killer whales are known for their impressive dorsal fin, which in males can reach 1–1.8 m tall. But, in captivity, they collapse. Dorsal fins are formed of collagen, a fibrous connective tissue, not bone. Water pressure and travelling long distances in the wild keeps tissues in the dorsal fin healthy and so the fin upright. Lack of space and spending so much time on the surface of the water causes fin collapse in captive whales. Dehydration and unnatural diet could also contribute. One of the arguments for keeping killer whales in captivity is research – we can learn from the animals. There are a few issues with this. Firstly, captive studies are limited in what they can tell us about wild killer whales as the captive environment is artificial. 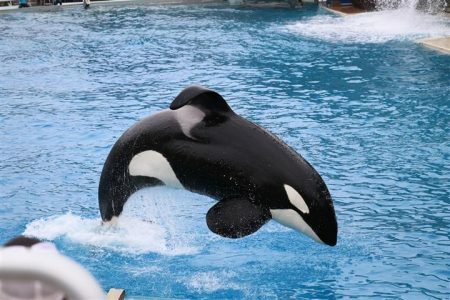 Captive killer whales behave and react differently to wild killer whales and they also suffer from different health issues. Secondly, most research published by marine parks focuses on captive issues such as wild capture and captive breeding techniques, looking after captive whales and how to treat their illnesses. Again, results contribute little to what we know about wild killer whales. This myth stems from the idea that keeping killer whales in captivity is good for education and thus conservation – why would you want to conserve an animal you know nothing about? But, marine parks focus heavily on entertainment and forcing marine mammals to perform for the paying public; there is little education. Research has also shown that whilst people may be inspired during their visit, they do little to help whales once they leave the park.